If you’ve watched any behind the scenes featurettes from Game Of Thrones, there is one huge takeaway — this stuff is about as far from glamorous as you can get! Over the years actors have been trapped in leather outfits in the heat, freezing wet on night shoots, and suspended in the air. 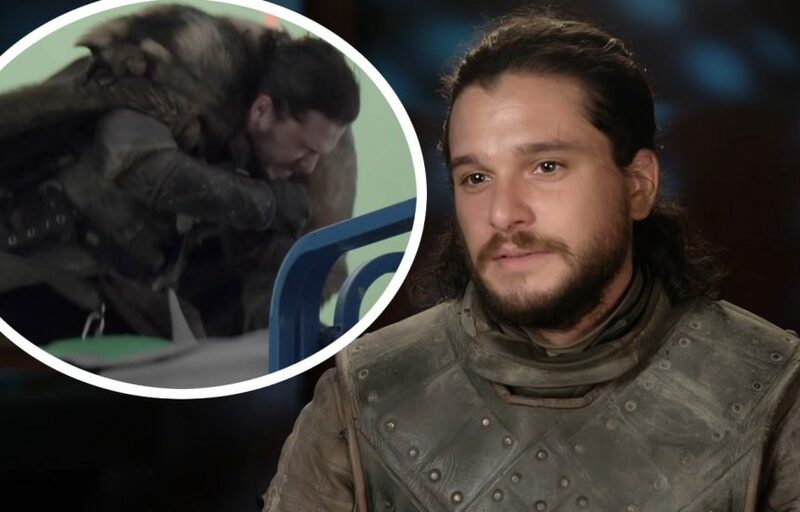 But it’s never been worse for Kit Harington than on the final season premiere. 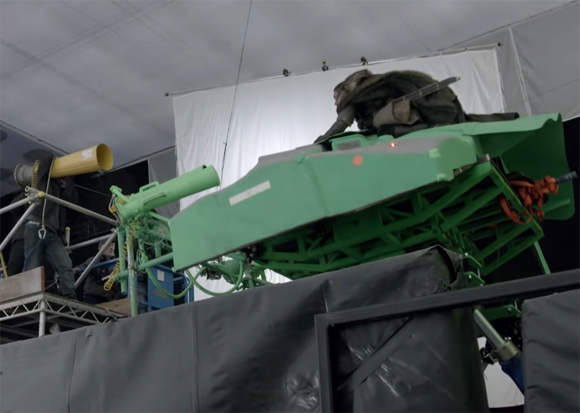 For Season Eight, Episode One, entitled Winterfell, Jon Snow rides a dragon for the first time — which means Kit the actor rode a big bucking green thing for the first time! While his costar Emilia Clarke had been doing this for a few seasons now, the Emmy-nominated star was not ready! There were also some celeb cameos you may have missed. And no we don’t mean what they did to Ed Sheeran. Let us not speak of poor faceless Eddie. In the scene where Theon Greyjoy (Alfie Allen) pulls a Seal Team Six rescue of his sis, a couple of Euron’s doomed nameless crewmen were not so nameless. 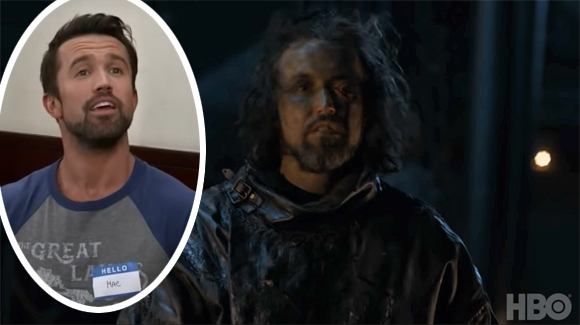 No, continuing the love affair between Game Of Thrones and It’s Always Sunny In Philadelphia (directors of each show have swapped and done an episode of the other), we got a cameo from Mac himself, Rob McElhenney as… guy who gets shot with an arrow. 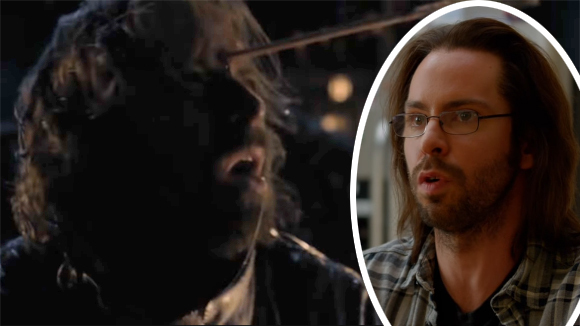 And there’s no way ANYONE recognized Martin Starr from Silicon Valley! For more behind the scenes goodness, ch-ch-check out the video (below)!